Inefficient communication: according to a study by Zogby Analytics, 38% of mobile workers reported lack of timely information from management as being the biggest obstacle of working remotely. Feeling out of the loop: according to a study by Harvard Business Review, 52% of mobile workers said they felt disengaged and disconnected from their in-office colleagues. Lack of recognition and appreciation: despite the fact that they typically produce more and work longer hours, research by UndercoverRecruiter.com found that mobile workers feel that they are not always recognized and appreciated by their in-office colleagues and superiors. If left unchecked, these challenges erode the gains and benefits of mobile working — and can even convince some businesses to eliminate mobile working entirely, which really can’t be done. The horse is out of the barn on mobile working. The advantages are simply too great; especially for businesses that need to cut overhead costs to stay competitive, or maybe even to survive. Solution: A cloud telephone system uses Unified Communications (UC) tools to keep mobile workers informed and updated, right alongside their in-office colleagues. For example, mobile workers can communicate through SMS and chat, call colleagues with a single click, launch video conferences, access groups calendars, and more. Challenge: Feeling out of the loop. Solution: A cloud telephone system brings mobile workers onto the same telecommunications platform as their in-office colleagues. For example, instead of wondering or guessing if a colleague is available, they simply log into the system and check status in real-time (e.g. available, busy, on the phone, etc.). Challenge: Lack of recognition and appreciation. Solution: A cloud telephone system allows for the seamless integration of existing mobile devices, which ensures efficient and effective management of mobile workers at a fraction of the cost of legacy hardware. Supervisors and managers can also generate a variety of reports to monitor performance (e.g. number of calls, duration of calls, etc.) and ensure that all outstanding workers — whether they are mobile or in-office — are recognized and appreciated. If your business has mobile workers on the roster — or you are ready to join the mobile worker revolution — then your next step is clear: make the switch to a cloud telephone system. You’ll get far more for much less, and your mobile workers will thrive instead of struggle. Everyone wins! To learn more contact us today at (336) 544-4000 for your free live demo, delivered over-the-web or in-person. On today’s relentlessly fast-paced and hyper-competitive business landscape, there are only two directions: forward towards growth, or backwards towards…well, we all know how that horror story unfolds. To say the least, it ain’t pretty. It goes without saying that every business — whether it sells jet engines or coffee cup lids — needs to head towards success, and away from failure. This is so blatantly obvious, that they don’t even teach it in business school. At least we hope they don’t need to teach this. 1. They’re getting much less for far more. There’s a really good reason why advertisers don’t try and sell things with pitches like “why pay less and get value, when you can pay more and get hosed?” Yet that’s exactly what is happening to many businesses that are forced to spend thousands of dollars a year for an on-premise phone system that essentially stopped being “technologically advanced” around the time of the first moon landing. And of course, the fees they pay are always going up year after year. They never, ever go down. 2. They’re not accessing advanced features. A long, long time ago — we’re talking before smartphones roamed the earth and “the web” was something spiders weaved vs. people surfed — the only companies that could afford advanced phone features were large enterprises. However, technology has changed this, and now ALL businesses can access advanced calling features they need like voicemail-to-email, music-on-hole, auto attendant, and more. There’s only one problem with this, and it’s a big one: on-premise phone companies don’t want to send this beloved cash cow into retirement, and so they continue charging ridiculous — and totally unjustifiable — fees for advanced features. In many cases, small and mid-sized businesses cannot even access certain calling features unless they spend a massive amount of money on a brand new system. Phone companies love this. It makes their cash cow moOOOooOOoOooOo with joy. 3. Their customers are getting frustrated — and heading elsewhere. As noted by CustomerExperienceInsight.com, today’s customers don’t just want, but they DEMAND more personalization, more responsiveness, more options, and more convenience. If they don’t get these requirements, they disengage and head to a competitor. On-premise phone systems are part of the problem vs. the solution. Instead of enabling employees to be provide an optimal customer experience anytime and anywhere, they force employees to stay at their desks — or worse, constantly send customers to voicemail or put them on hold for excessive amounts of time (which is really a bad idea, since studies have shown that about 1/3rd of people won’t wait on hold at all, and about 60% will hang up after a few minutes). Add it up, and it’s a recipe for customer disengagement and churn — which is the fastest ways send a business backwards vs. forwards. 4. They’re forced to hire costly IT staff or get drilled with pricey maintenance fees. When it comes to technical support, businesses with on-premise phone systems have traditionally faced a “lesser of two evils” scenario. Either they hire IT costly staff who have the specialized skills to manage the system, or they sign-up for a very pricey maintenance agreement. This is the “golden goose” for phone companies (who lives on the same farm as the cash cow…it’s all very rustic). 5. Scalability is virtually non-existent. All businesses — from startups to unicorns — face ongoing scaling challenges. Some are scaling up and onboarding more people. Others are consolidating, outsourcing and downsizing. Either way, the key to success is agility and going with the flow. However, on-premises phone systems are categorically not built for scalability. As a result, many businesses are saddled with capacity (lines) that they don’t need — or they are forced to pay through the nose to increase capacity in order to accommodate new hires. Delivers significant — and in many cases dramatic — ongoing cost savings. Our customers consistently get more for less vs. less for more. Includes a full range of carrier-class advanced calling features, such as auto attendant, voicemail-to-email, music-on-hold, video conferencing, business SMS, and more. Enhances customer experience through features like live call forwarding, hunt groups/ring groups, and more. Is supported, monitored and managed 24/7 by our team of experts. There are NO additional maintenance costs, which is great news for CEOs and other executives, and even better for IT staff who don’t have to deal with end user help tickets! Easily and affordably scales up or down. 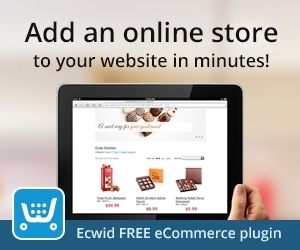 Customers can add extensions in a matter of minutes. Or if they are consolidating, they simply let licenses expire. In business as in life, it’s important to know who your allies are — and it’s arguably even more important to know who your adversaries are. For many businesses, one of the biggest threats to their success and growth isn’t outside their walls: it’s rooted in their on-premise phone system. That’s the bad news. The good news is that permanently ending this threat is straightforward and simple: contact DigitalPhone.io today for a free consultation. Call (336) 544-4000 Discover how we will transform your telecommunications system from an adversary that holds your business back, to an ally that drives your business forward! Regardless of what side of the political spectrum you fall — or maybe you think the best political party is no party at all — we can all agree that if there’s one thing we should learn from what’s happening in Washington, D.C., it’s that you can’t trust everything you hear or read. Of course, “fake news” isn’t a new idea. It’s been around for decades (or make that centuries). And it’s certainly not limited to politicians, commentators, and talking heads. Some businesses have made plenty of money generating fake news. Take for example the myths, half-truths and outright lies that some conventional phone companies and carriers spew about hosted VoIP. FACT: Hosted VoIP phone systems typically save organizations anywhere from 20-50 percent on an annual basis — and in some cases, the savings are even bigger. This is not playing with numbers or moving costs from one category to another. This is black-and-white, bottom-line savings that you can (and should) calculate yourself. FACT: We don’t even know where to begin with this one, because it’s SO patently untrue that it’s shocking. 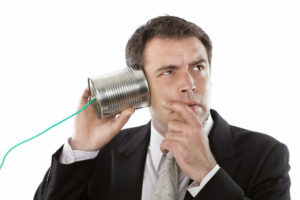 Here’s the truth that you can independently verify: unlike a conventional phone system that needs a separate voice network — complete with servers, cabling, and so on — a hosted VoIP phone system is fundamentally designed to work with the existing data network that organizations already use to access the internet and send/receive emails. There is no requirement whatsoever to create a separate network, which is why so many organizations have already switched to hosted VoIP, and are saving tens or hundreds of thousands of dollars a year. FACT: A hosted VoIP phone system is housed, managed, and maintained by off-site experts who provide everything from end user technical support, to regular updates and system upgrades. As we’ve written about, organizations that switch to hosted VoIP don’t face any support burden, which makes their IT staff very happy. FACT: Seriously — what century is this?! Today’s organizations need to unify all of their devices — including desktop computers, laptops, tablets, phones, car Bluetooth systems and cell phones — on the same telecommunication platform, and that’s exactly what a hosted VoIP phone system does. For example, an end user can answer a call on their desktop (i.e. softphone), forward it their cell phone as they exit the building, and forward it again to their car Bluetooth. FACT: This is the neutron bomb that conventional phone companies and carriers launch when their other fake news efforts (see above) fall flat, because it’s the one that tends to resonate with a lot of customers whose experience with VoIP is primarily flaky Skype calling with relatives. Here’s the truth: long before a hosted VoIP phone system goes live, the Solution Provider conducts multiple quality assurance tests to confirm that the network is ready, willing and able to handle the load (e.g. video conferencing, simultaneous calls, etc.). The system is also constantly monitored to meet performance standards and achieve a guaranteed uptime of 99.99%. Plus, unlike a conventional on-premises system, a hosted VoIP system remains online and operational even in the event of a local power outage. In this respect, hosted VoIP phone systems are MORE reliable than conventional phone systems. But as the old saying goes, sometimes the best defense is a good offense — and phone companies afraid of losing customers are understandably on the attack. Is a hosted VoIP phone system right for you? If you want to save money, improve efficiency, increase customer service, boost employee engagement, and make your organization more flexible and agile, then the answer is YES. But don’t take our or anyone else’s word for it. Schedule a live, guided demo and get the FACTS directly from our team. You can then make an informed decision that is right for your organization now and into the future. And isn’t that the way its supposed to be? Call us now at (336) 560-4400, or click the Contact Button on your right. Your consultation with us is free! As a breed, IT professionals tend not to be the most emotional folks on the business landscape — and that’s a good thing. A calm, cool and detached perspective is essential for accurate analysis. After all, we want an evaluation of the current state of the network defense system or a forecast of future bandwidth needs to be backed by data and best practices, not by cheers and a marching band. However, there are times with IT professionals can’t help themselves and jump for joy — and maybe even shed tears of happiness. No, we aren’t talking about when end users stop saving passwords on sticky notes. We’re talking about when organizations switch from a bloated, old school landline phone system to a state-of-the-art hosted VoIP phone system. When organizations implement new technology, that loud groan of agony that erupts from the IT department (or the hallway, lunch room, or wherever they’re hanging out) is triggered by the miserable awareness that they — and not the vendor — will be responsible for providing support. That means plenty of compatibility headaches and end user “why doesn’t this thingy work?” questions are on the horizon. Blissfully, this is not an issue with a hosted VoIP phone system. All support — including answer end user questions — is handled by off-site experts who understand the technology inside and out. In addition to providing support for various tools and technologies, IT staff usually must manually update servers, desktops and devices. And since vendors can release dozens of updates a year, that means the to-do list for IT staff gets longer…and longer…and longer. Peace, love and joy under such conditions is unlikely. Actually, it’s pretty impossible. But with a hosted VoIP phone system, IT staff don’t have to lift a finger when it comes to updates — because off-site experts handle everything from their end. What’s more, end users always know that they’re accessing the latest and safest version. 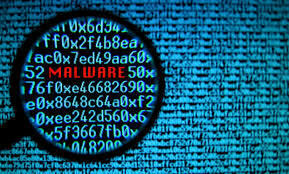 Speaking of safety: IT staff are on constant red alert for the latest malware variations and zero-day threats, which are exploits that cyber criminals have identified hours, days, weeks, or sometimes months before vendors release patches to close the gaps. And of course, if an endpoint is compromised or the network is breached, everyone uses IT staff as target practice to hone their screaming and swearing skills. With a hosted VoIP phone system, external staff constantly monitor and update the server, and implement a range of security measures to both detect and prevent misuse; including call fraud and insider threats. Does this mean that IT staff can take their foot off the gas when it comes to being hyper-vigilant about keeping the bad guys at bay? No. But it certainly means that IT staff will be asked to safeguard a smaller threat surface, which makes their jobs easier and more effective at the same time. 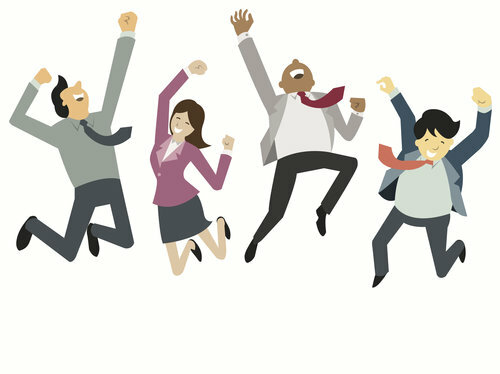 To learn more about how you can boost employee productivity, enhance customer service, dramatically lower costs — and make your IT staff jump for joy — contact the DigitalPhone.io team today. Your consultation with us is free (and go ahead, invite your IT staff!). Call us now at (336) 560-4400, or click the Contact Button on your right. Many times in our professional and personal lives, we believe that the “grass is greener on the other side” — only to discover after making a change, that the grass isn’t greener at all. 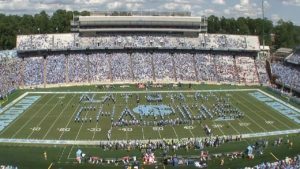 In fact, sometimes it’s not even grass, but the painted carpet stuff that they use in some baseball stadiums. Yet in many cases, these promises never materialize. It’s all sizzle, and no steak. How do we know? Because we’ve been in the hosted telecommunications space for nearly 20 years, which is an eternity in this industry where the lifespan for most companies a few years — and in some cases, a few months! And throughout this time, we’ve lost track of how many new players have entered the marketplace, created a whole bunch of flashy hype, and then disappeared — but only after leaving a trail of very angry ex-customers in their wake. Trust us on this, because we’re the ones they call to get them back on track, and get the advanced and affordable hosted telecommunications system they needed in the first place (and of course, we make it happen!). 1. Are you really getting a better deal? On the surface, it make look like switching providers will lead to cost savings. But you really need to dig deeper and crunch the numbers to see if all that glitters is really gold. For example, many providers promise all kinds of free services, but in reality it’s not free forever. Often, it’s free for 1 year on licenses with a limited number of simultaneous calls. Plus, there are always setup and support costs that need to be factored into the analysis. And speaking of support costs: many of the aggressive providers in the marketplace have regularly raised their support costs over the years. Many customers are very unhappy to realize that when they first signed up annual support costs were about 20 percent of the initial purchase price, but have since risen to 30 percent or more. 2. Do they specialize in hosted deployments? The importance of this question cannot be underestimated! Many providers offer both on-premises and hosted deployments, but this doesn’t mean they support them equally. In most cases, the bulk of their resources are allocated towards their (much more profitable) on-premises product. And don’t be fooled by promises like “oh don’t worry, you can use the on-premises product remotely”. This compatibility is NOT out-of-the-box. On the contrary, it is much more complex and requires excessive setup time, and it likely doesn’t support a Windows environment — which is what most organizations use. 3. How are internal class classified? Some providers make a really big deal about how you’ll enjoy “affordable calling. But what they typically DON’T make explicit is that they count internal calls as part of simultaneous calls. For example, if you can have up to 16 simultaneous calls and 20 internal staff members are having a conversation (which equals 10 internal calls), then you will only be able to make 6 more internal or external calls. Any more, and — yes, you guessed it — you’ll have to pay more. 4. What is the support? Where all (so-called) low cost providers make their money is on support, which they charge by the hour — and it’s not cheap! Furthermore, these providers typically don’t offer geo-redundancy support, which means that in the event of a local power outage due to inclement weather, natural disaster, or any other factor the entire system will go offline for minutes, hours — or maybe even days. The bottom line here is clear and straightforward: do your homework, ask tough questions, and absolutely refuse to settle for fuzzy “marketing spin” answers. Because sometimes the grass isn’t greener on the other side. Isn’t it wiser to figure this out before making a switch vs. after?